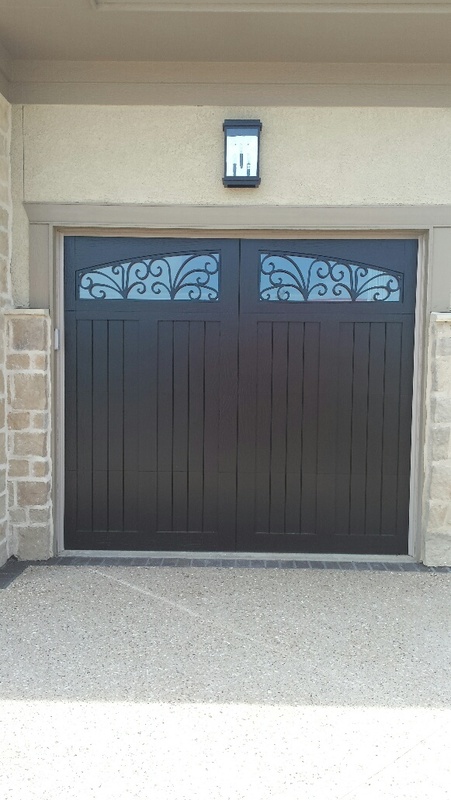 Thanks to Lisa Miller of Howell Door Company, Inc. for sharing pictures of one of their latest jobs. Lisa says she's been sharing this on their social media and getting lots of positive response. Great work!! As always, we welcome your comments in the space provided below. Please don't hesitate to contact us with any questions. 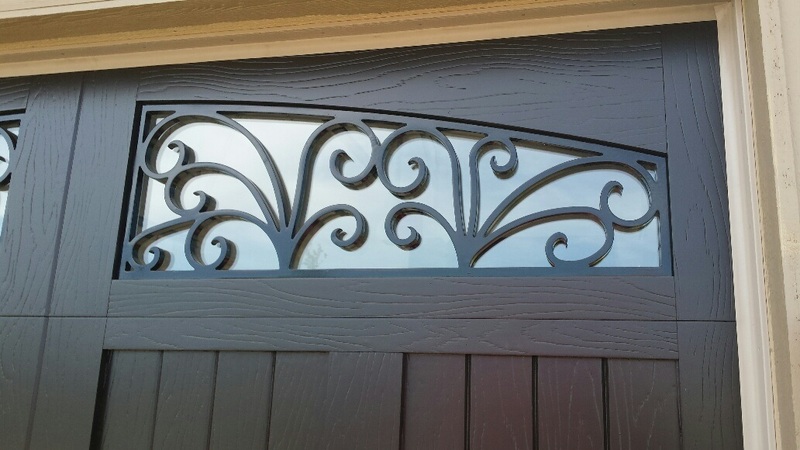 One the newer design ideas we've been asked to replicate is wrought iron scroll work. Well, here it is. The scroll pattern is made of the same composite as our overlay. A black paint finish completes to look. 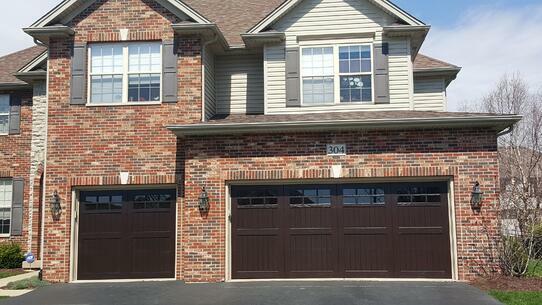 Thank you to Mike Guthrie of Raynor Garage Doors of Kansas City for sharing the pictures. Great work!! Decorative glass options can be installed behind the scroll for more variations of design. Let us know your thoughts on this new look. Finally, A Garage Door That Pays For Itself! The 2016 Remodeling Cost vs. Value report estimates 90-91% of garage door replacement costs will be recouped at resale, increasing the value of your home and making it one of the best home improvement projects a homeowner can invest in. Homeowners consider remodeling or replacement projects throughout the year as a way to increase the value of their homes. Some projects add more value than others and are able to better recoup their costs. Every year Remodeling Magazine surveys realtors across the country to compare home project costs with their perception of what those projects bring to a home’s price at resale. The results are compiled into the Cost vs. Value Report annually at the beginning of each year. 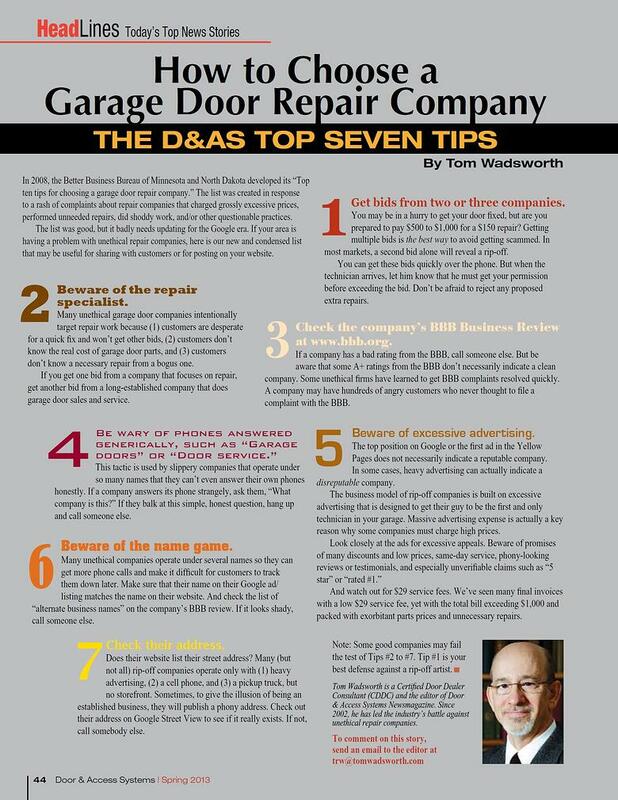 The 2016 Cost vs. Value Report by Remodeling Magazine shows promising results for the garage door industry. 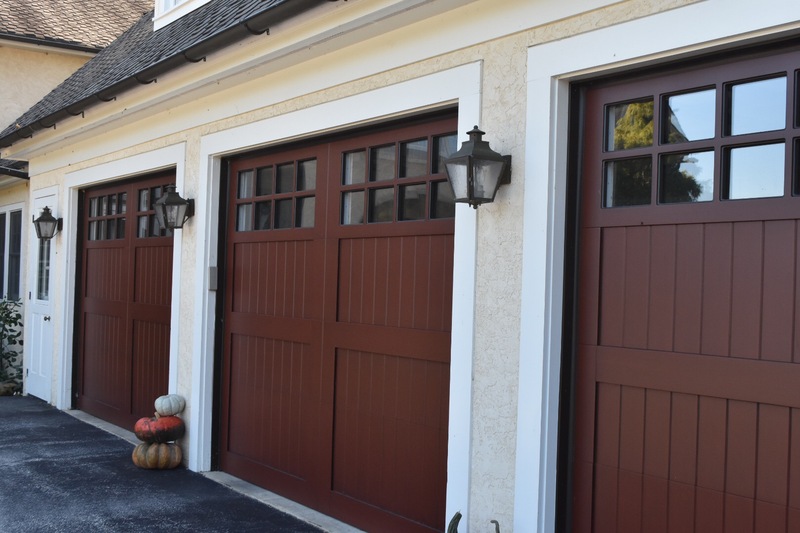 Compared to the 2015 report the mid-range garage door replacement increased 3%, recouping 91.5%, while the upscale garage door replacement recovers 90.1% of the cost. 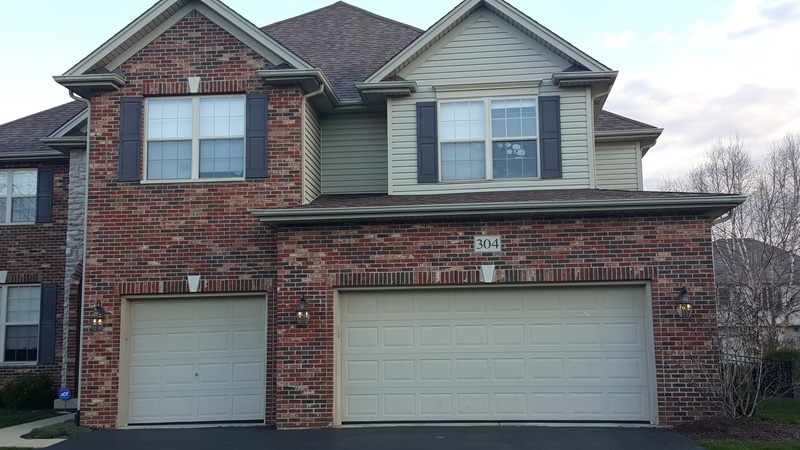 This makes replacing the garage door one of the top gainers, outperforming many popular projects such as siding, window replacements, and kitchen updates. It's no surprise that realtors across the country rated exterior projects as some of the most valuable for homeowners. 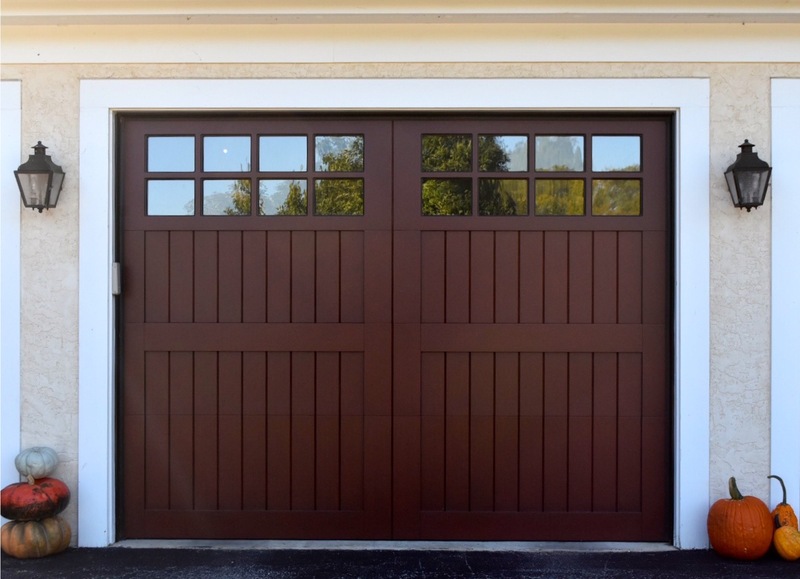 Garage doors account for a large percentage of the front of the home and play an important role in the aesthetics and curb appeal of the home. With various door styles, colors and window options homeowners can differentiate their home from others in the neighborhood and increase their home value at resale. With an increase in payback for garage door replacement, now is the perfect time to consider replacing an old garage door. Check with your local C.H.I. 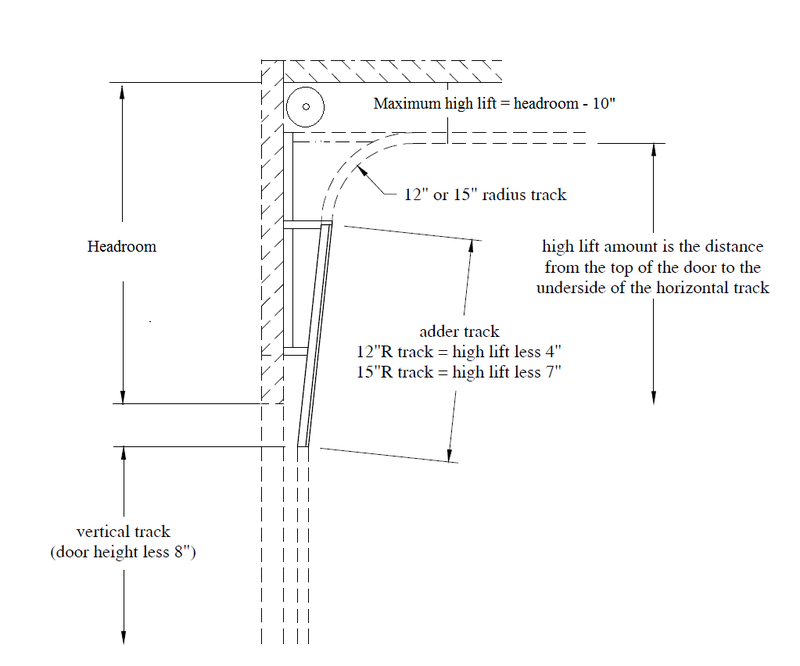 door professional when choosing a new garage door; they are a great source of information and can lead you in the right direction. 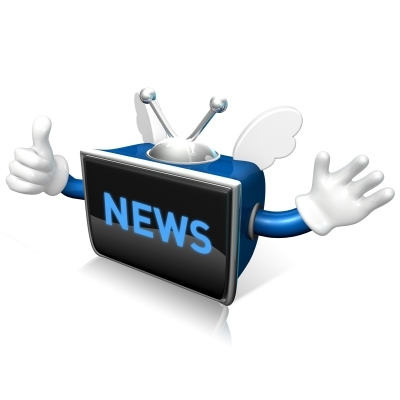 To read the full project descriptions and access national and regional project data, visit www.costvsvalue.com. "Cost vs. Value" is a registered trademark of Hanley Wood, LLC. New 2015 Eden Coast Brochure is hot off the presses! 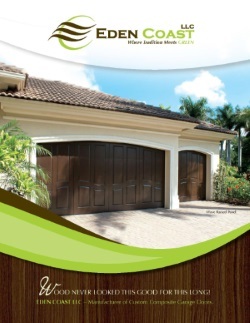 Eden Coast is proud to unveil our new catalog for 2015! Due in part to many of the great suggestions we received from our customers for more photos and more information, we took the opportunity to add 8 new pages to our Eden Coast brochure. 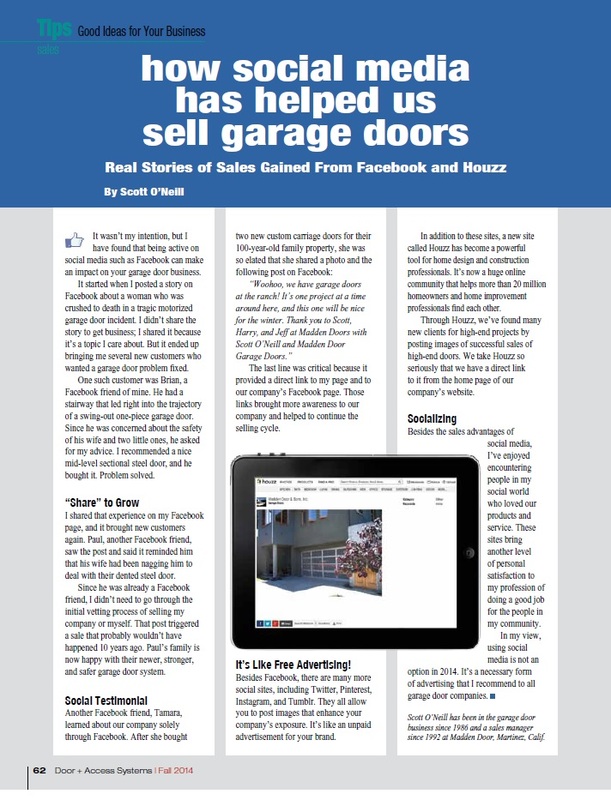 We added a two-page spread highlighting some beautiful stained door options as well as a page on louver doors and various paint finishes. We also clarified things a little by removing the names of the standard stain offerings. We felt that the names tended to cloud some peoples' decision on which color to choose. Please take a minute to browse the new catalog. For those of you who have requested literature, we will begin shipping this week. Thank you for your continued support of Eden Coast products, and don’t hesitate to contact us with any questions, comments or concerns. Eden Coast Announces a New Addition to the Family! We have, once again, expanded the Eden Coast family! We welcomed our newest team member, Rosmery Mojena, effective September 29, 2014. “Rose” (as she prefers to be called) was born in Havana, Cuba. The youngest of three children, she and her family arrived in the United States twenty years ago the old fashioned way – on a man-made boat with a paddle! Although she was very young at the time and doesn't remember much about the experience, she is forever grateful to her parents and their sacrifice in bringing them all to America in hopes of providing a better way of life. Now, twenty years later, Rose says she is living the American Dream. She is “loving every minute of” pursuing her B.A. in Accounting and is looking forward to acquiring the real life experiences Eden Coast can offer. She has lived in Georgia for the last 17 years, and has only been able to return to Havana once to meet her grandfather for the first time. She says it was the best two weeks of her life! She has two dogs and loves spending her time outside. However, Sundays are spent indoors during the fall so she can watch her beloved Florida Gators, Dolphins and Hurricanes. I wonder if we will have any luck converting her to a Bulldog fan! We welcome Rose and the strong skill set she has developed over 7 years of experience in a fast paced office environment. Rose will serve as Office Administrator in our Lawrenceville, GA home office and will report directly to Duane Laricey, President. I am Mr Keven.I am contacting your company to make an order of 16 by 7 Non Insulated Garage Doors.I will like you to get back to me with the price of 13 units the specs below including tax to be picked up at your location.I also would like you to advice me on the terms of payment that you accept. I did not alter his message and as you can see, the grammar and spelling are a dead giveaway. He couldn’t even spell his name correctly from the hijacked email account. 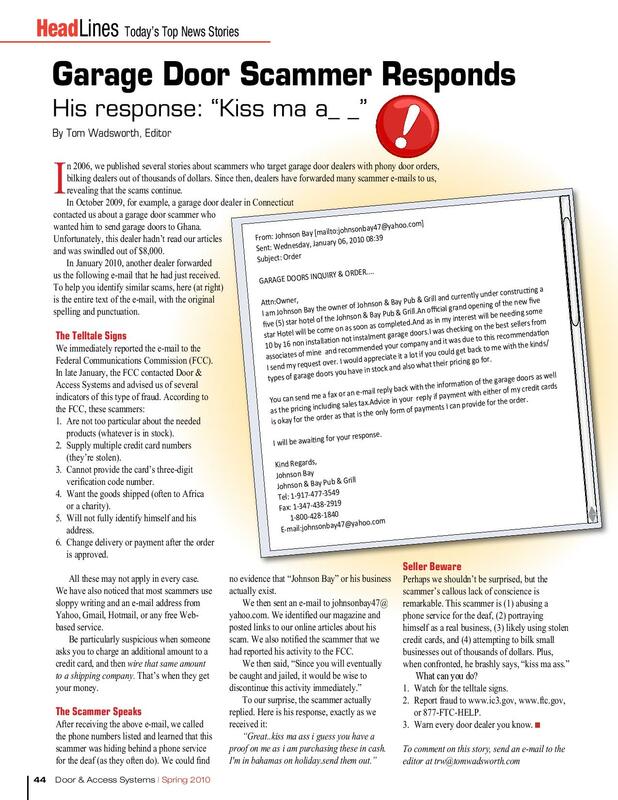 Below is a great article from the DASMA Insider on how to spot such scams and what to do if you fall victim. Please forward this message to make others aware. As always, I encourage your comments and suggestions to further the discussion. Thank you!